Rotary, a global network of community leaders dedicated to tackling the world’s most pressing humanitarian challenges, recently announced nearly US$100 million in grants to support the global effort to end polio, a vaccine-preventable disease that once paralyzed hundreds of thousands of children each year. 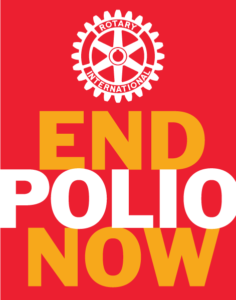 To support polio eradication efforts in countries where polio remains endemic, Rotary is allocating the majority of the funds to: Afghanistan ($22.9 million), Pakistan ($21.7 million), and Nigeria ($16.1 million). Rotary has committed to raising $50 million a year to be matched 2-to-1 by the Bill and Melinda Gates Foundation, amounting to $450 for polio eradication activities over a three-year period.